The entrance gate to Lake Manyara National Park. The first national park that we visited while on safari was Lake Manyara National Park. This 127 square mile park is about a 2 hour drive from Arusha and is home to a lot of Africa’s wildlife diversity. Lake Manyara National Park is located in Northern Tanzania, just Southwest of the Ngorongoro Crater National Conservation Area. It is about a 2 hour drive from the major city of Arusha. If you are planning a visit to Lake Manyara National Park, you will likely want to fly into Arusha. The airport in Arusha is where most of the safari companies that service Lake Manyara National Park will pick you up upon arrival. We used Tanzania Choice Safaris for our safari and we absolutely loved them. We have relatives who lived in country and had used them on multiple occasions and had a lot of really great things to say about them. They were very courteous, well organized, and extremely knowledgeable about the parks and the wildlife. We would absolutely recommend them for anyone considering a safari in any of the national parks in Tanzania. Map of the National Parks in Tanzania. Not surprisingly, the main feature of Lake Manyara National Park is Lake Manyara. The lake rests up against the western boundary of the park, with the rift valley on much of the park’s eastern boundary. There are a lot of open spaces around the lake where you can find zebra, wildebeest, antelope, buffalo, and other grazers feeding. In Lake Manyara, it is very common to see hippos avoiding the heat during the day. Map of Lake Manyara National Park. Before you leave for your trip to Tanzania, you need to make sure you have all of the proper vaccinations. Not only to protect yourself, but to protect others. In fact, depending on where you are visiting from and whether you are making any stops before visiting Tanzania, you might not even be allowed in the country without the proper vaccinations. Depending on which country you are arriving from, you may need to have a Yellow Fever vaccination to enter the country. If you are travelling to Tanzania from another country in Africa, please use the US Centers of Disease Control (CDC) website to determine if you will be required to have proof of the Yellow Fever vaccination to enter. If you are visiting Africa and going on safari for the first time, you might be sure of what to bring with you on safari. To help you with these questions, I have developed a handy Safari Packing list and a Photographer’s Guide to Taking Pictures on Safari that will help you make sure you have the gear that is essential to making your trip a success. If you are planning to visit Lake Manyara National Park, you are going to want to plan your visit for the optimal time of year to see the animals and avoid bad weather. The best time to visit the park is between June and October, as the animals are easier to spot and the weather is typically better. Conversely, you will want to avoid visiting during the months of March thru May, as this is when the worst weather typically occurs and the animals are typically seeking shelter. Animals are easier to spot as the vegetation isn’t as thick and the animals are typically congregated by the water sources. There is typically a lot of sun and very little rain. Because the weather isn’t as wet, malaria carrying mosquitoes are less prevalent. You will want to dress warmly as the mornings can be cold at this time of year. The park is at its greenest and most lush. It is typically the least crowded in April and May, which is the park’s low season. Bird watching is best as the migratory birds are visiting the park at this time. There may be a lot of mud on the roads because of heavy rains. March is the height of the rainy season. Lake Manyara National Park is famous for its tree climbing lions. While all lions can climb trees, most often they prefer not to as their size doesn’t make them as effective of climbers as leopards. However, in Lake Manyara National Park, the lions have grown accustomed to climbing trees and whole prides can be seen resting in the trees. We didn’t get to see the famous tree climbing lions while on safari, but our safari guide told us some really amazing stories about driving right up to trees without realizing there were lions in them. So if you decide to visit Lake Manyara National Park on safari, make sure you keep an eye out for the famous tree climbing lions. One of the famous tree climbing lions that Lake Manyara National Park is famous for. One of the more amazing wildlife encounters we had while visiting the park was spotting a bull elephant feeding by the side of the road. He heard us coming, so we didn’t startle him. That is important because elephants can be dangerous if startled or if they feel threatened. As we approached, we came closer to have a look at us. They are such amazing animals. A bull elephant we met in Lake Manyara National Park. We also got to see quite a few giraffes while on safari in Lake Manyara National Park. It is absolutely amazing to see them feeding in their natural habitat. They are such peaceful and amazing animals. Every so often, they would take a momentary reprieve from feeding to glance over at us to see what we were up to. A giraffe takes a break from eating to check us out in Lake Manyara National Park. When you are on safari, especially in the Ngorongoro Crater where animals seem to be everywhere around you, it is easy to get lost in the experience. Being on safari is such an amazing experience and you should enjoy every single second of it. However, if you aren’t careful, you might not get everything out of the experience that you could have. In order to make sure that you get everything out of your safari experience in Lake Manyara National Park that you possibly can, I have provided some general safari tips below for you to review. Be Patient and Open Minded – When you are on safari, everything isn’t going to go according to plan. The weather, the animal’s behavior, and other factors are going to impact where you go and what you see. Safety First – It is really easy to get caught up in the safari experience and want to get the best pictures you possibly can. However, safety should always be the primary concern. To give you some help in how to remain safe while on safari in Lake Manyara National Park, I have outlined some general safety tips for you to review later in this guide. Don’t Get Stuck Behind Your Camera – Everyone wants to get great pictures while on safari, and you should absolutely bring your camera and take a lot of pictures. However, if you spend your entire time in Lake Manyara National Park looking thru your camera, you are going to miss out on some of the experience. I would recommend setting your camera down every-once-in-a-while and just enjoy being in such an amazing place. Ask Lots of Questions – Make sure you ask your safari guide a lot of questions while you are in Lake Manyara National Park. It is easy to get caught up in the moment and forget to ask which type of animal you are looking at or why they are doing what they are doing, but your safari guide is there to answer these questions for you. And believe me, they enjoy answering these questions. Don’t get home and regret not asking those questions. Be Conscious of Time – You are going to see some amazing things while you are on safari in Lake Manyara National Park. However, as I mentioned before, the time that your daily permit is good for is limited. Don’t get too caught up in one place within the crater for too long as you might regret not having time to do other things later. By no means am I suggesting that you should rush thru the crater, but you might not want to linger watching one thing for hours-upon-hours either. Being on safari can be an amazing and exciting experience, but it can also be a very dangerous experience if you don’t follow the proper safety rules. In order to ensure that your safari experience is a memorable and safe one, I have outlined some general safari safety rules for you to review below. Obey your safari guide at all times – The most important safari safety tip of all is to listen to your safari guide and obey them at all times. They are there to keep you safe, so let them. Don’t stick anything out of the safari vehicle – It is never a good idea to stick anything outside of a safari vehicle. Whether this be your arms, your feet, or your camera as you try to get a great picture, keep them inside the vehicle at all times. 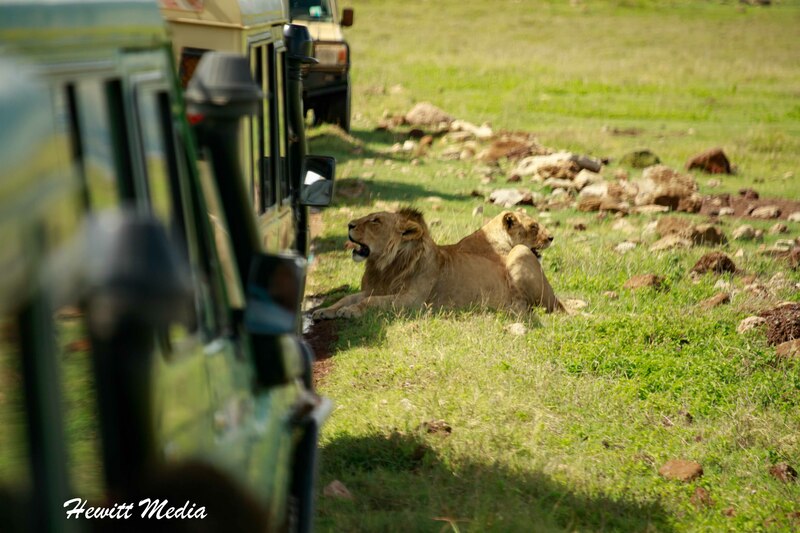 Don’t make a lot of sudden or frantic movements in the vehicle – When you are in the safari vehicle, the animals tend to think of the vehicle and everything associated with it as one homogeneous entity. However, if you make sudden and frantic movements, or do something else to make you stick out as a part from the vehicle, you may become an object of interest to them. Never get out of the vehicle unless your guide says you can – This point cannot be stressed strongly enough. Never, and I mean never, get out of your safari vehicle unless your safari guide explicitly instructs that it is safe. Never leave your tent or lodge room at night – This is another point that I cannot emphasize strongly enough. You should never leave your tent or lodge room at night without a chaperone. The African bush can be a dangerous place, especially at night, so make sure you follow whichever procedures your safari guide gives you for getting assistance at night. If they don’t mention this, make sure you ask ahead of time. Walk, never run – If you do find yourself outside of your vehicle and confronted by an animal (hopefully this never happens), then make sure that you stay as calm as possible, walk away slowly (never turning your back on the animal), and NEVER, EVER run away. Never swim in lakes or rivers – Unless you are explicitly told by your safari guide that the waters are free of hippos and crocodiles, you should never attempt to swim in a lake, river, or pond. Even then, I would think twice about doing it. Hippos kill more people in Africa than any other animal, and crocodiles are not far behind on the list, so you always have to be safe when even approaching bodies of water. We absolutely loved our time in Lake Manyara National Park. If you are interested in seeing what it is like to go on safari in this beautiful park, check out the video of our adventure below. Lake Manyara National Park was such a magical place to visit. Being able to see such amazing wildlife in their natural habitat was an experience of a lifetime. Below are some of the amazing pictures we were able to get while on safari. This looks amazing and your wildlife photos are stunning. Thanks for sharing your experience. I fell in love with the place. It changed my life. Me too!! Such an amazing place! Yes, you just can’t stop taking pictures on a safari. Looks good. I also recommend Zimbabwe. Thanks! Zimbabwe is definitely on my list! And Tanzania on mine. I’ve only gotten to make 1 post on Zimbabwe safari and Hwange Park, but will make one for Mana Polls soon! Wow what a memorable safari! 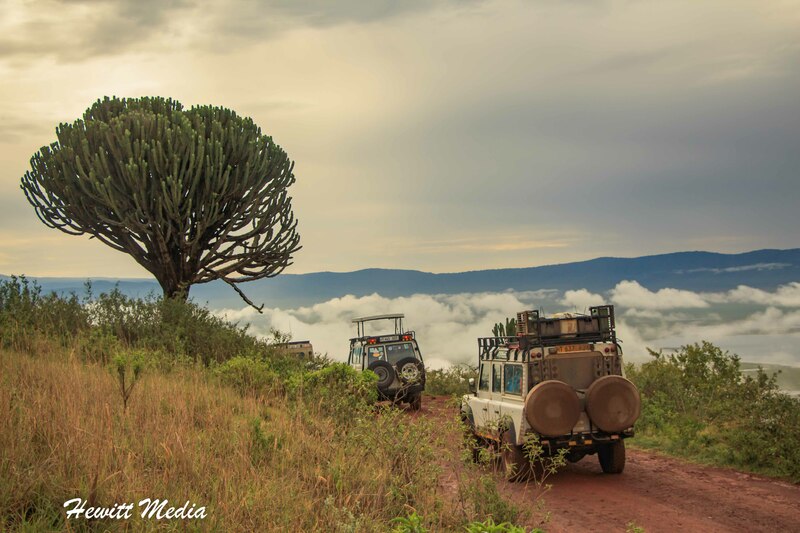 Sine you fell in love in Tanzania, do check out our blog, it has so much more on the wilderness of Tanzania. I wish I can visit Africa one day, thanks for sharing this. Your photos are amazing Josh great work!